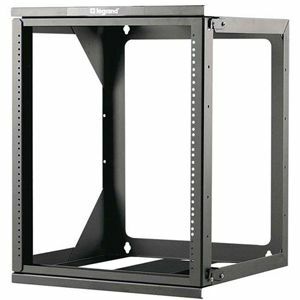 C2G 12U Hinged Wall Mount Open Frame Rack - 18in Deep - Rack - black - 12U - 19"
This Hinged Wall Mount Open Frame Rack is an ideal solution for mounting network and telecom equipment in applications where space is a premium and a full size rack or cabinet cannot be used. The front swing gate may be set up to open either left or right for easy access to rear of panels and equipment and two latches are used to keep the gate closed. 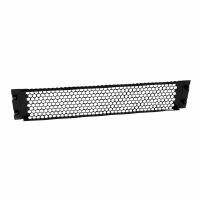 The mounting rails feature #12-24 threaded EIA hole pattern which are standards compliant to mount 19in panels and equipment. Slots on the rear accept cable straps for cable management. 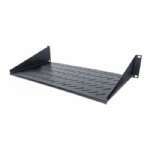 The side panels fold flat for shipping and easily unfold for onsite assembly.